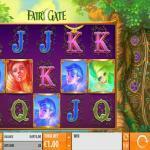 Fairy Gate is a five reeled slot machine with three rows of symbols. 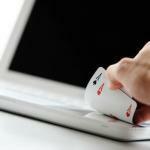 The slot machine is available for you on mobiles, tablets, and desktop as well as other devices. The slot machine has twenty wager lines with bets that vary between 0.20 and 100 credits per spin. 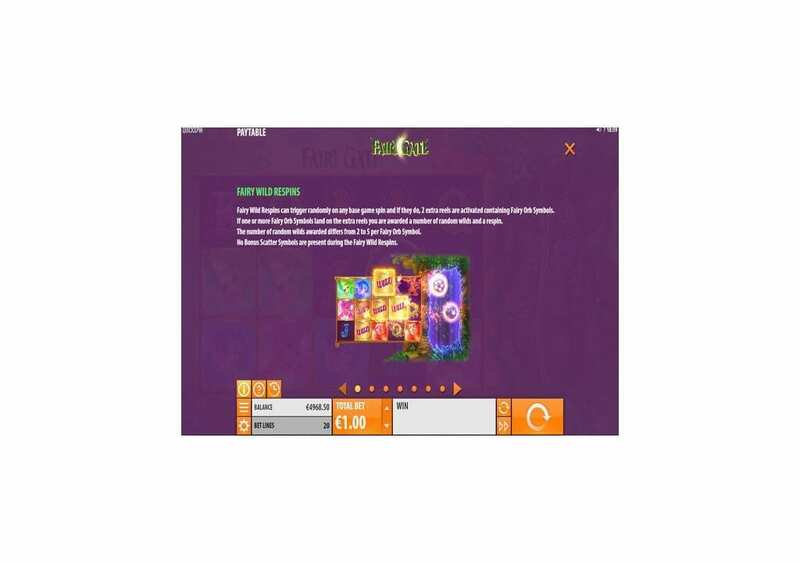 As the title of the game shows, the slot machine is all about fairies and the fairy tale world, and this is also evident from the moment you open the game and see the background and the symbols appearing on the reels of the slot. The slot that we have today for you is yet another fantastic game by Quickspin. The gaming developer has been on a roll after releasing Sticky Bandits that was quite a success. 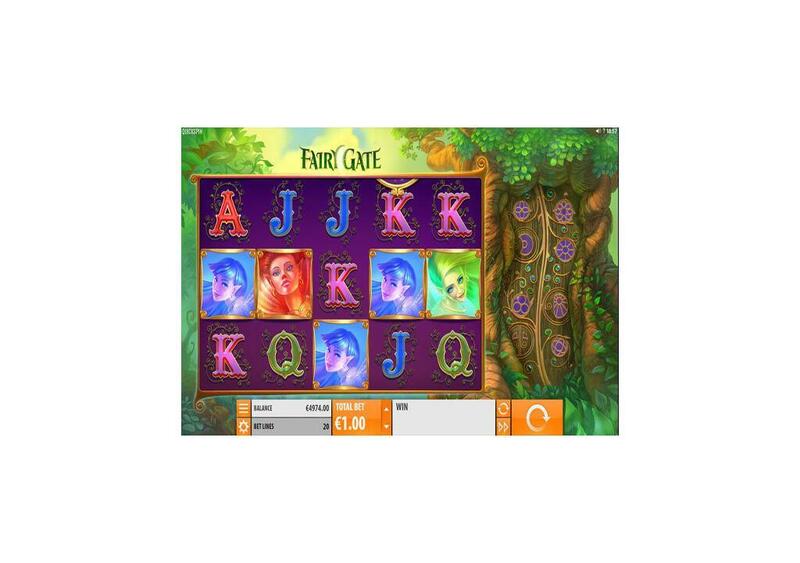 Following the Wild West themed slot, the developer invites you to enter the world of fairy tales with this low volatility slot machine, Fairy Gate. The slot machine has already hit the market, and it is available at many Quickspin casinos, and of course, as usual, you can find it here for free so you can give it a few spins to see what it has to offer. 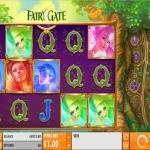 Fairy Gate is a five reel slot machine that can expand up to 7 reels with 20 paylines. 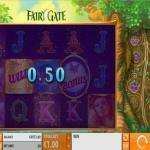 The slot machine is coming from the selection of games of Quickspin. 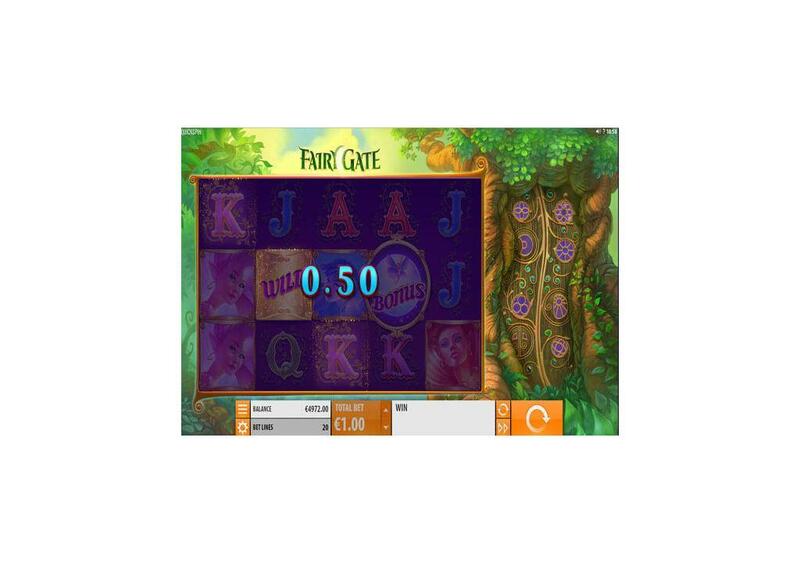 The slot machine takes place in the magical woodlands, and the fairy tale themed adventure comes packing plenty of magical features that can result in significant payouts. These functions include wilds, scatters, wild re-spins and more. 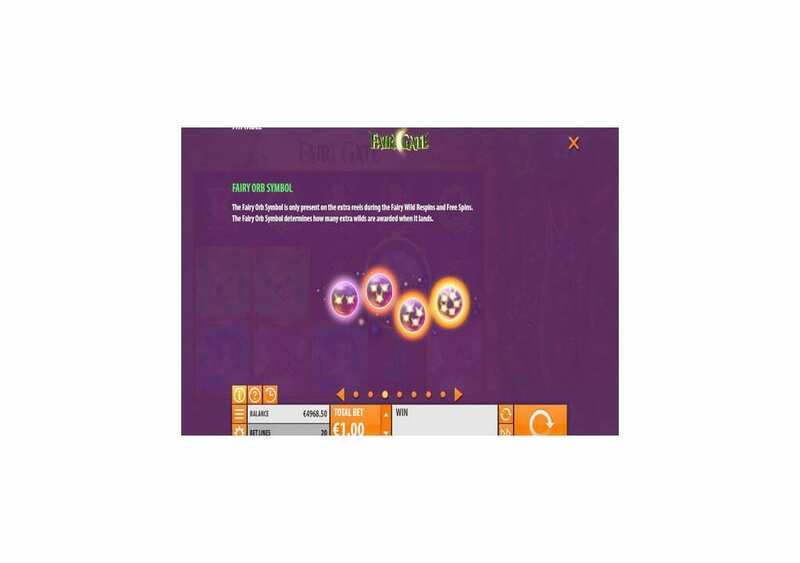 The slot’s visuals are of high quality and will help create an immersive experience that like none other, which is not a surprise since the game is from the portfolio of Quickspin. 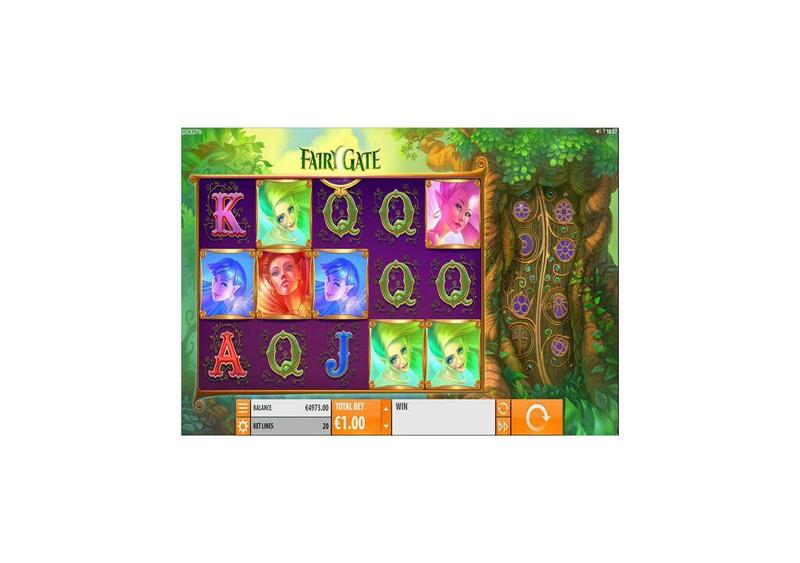 Fairy Gate slot machine by Quickspin has a fairy tale theme, which is quite obvious from the title of the slot machine, Fairy Gate. 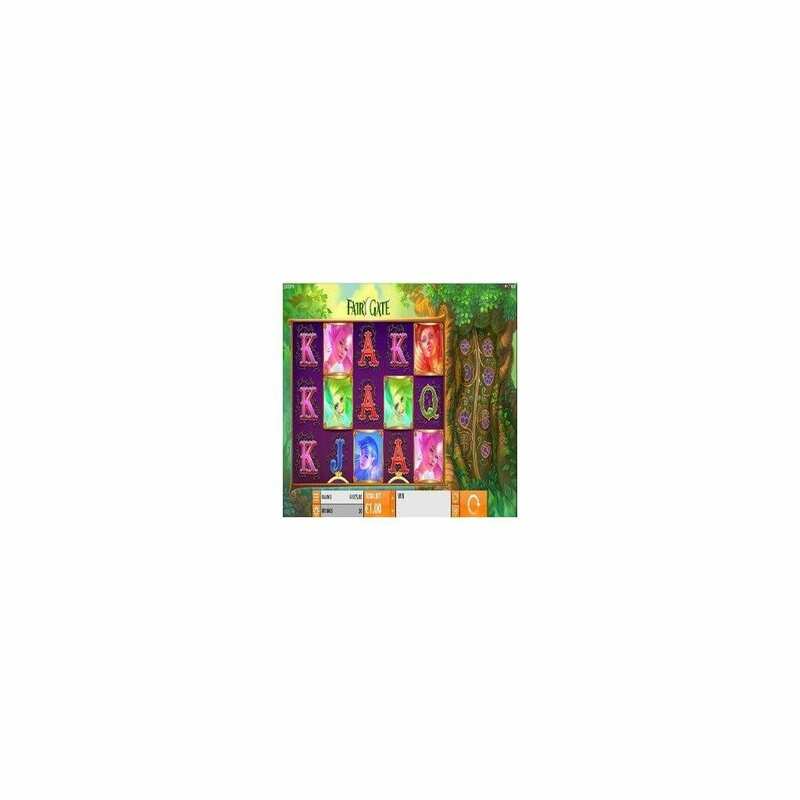 The slot machine invites you to join the magical fairies in their forest where you can enjoy a great adventure while claiming your share of the great fairy tale fortunes and treasures that the slot machine has. There are four fairies that you will join; they are the pink fairy, the green fairy, the blue fairy and the red fairy. The game also revolves around the magical fairy orbs that can trigger great features and bonuses. 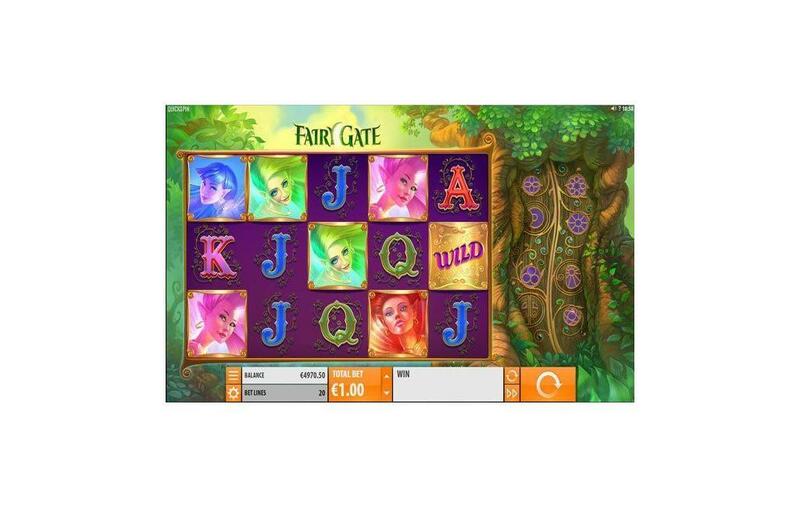 Fairy Gate slot machine by Quickspin has a five reel setup, which can expand to include two more Reels to make it a total of 7 reels. These reels offer you a total of 20 wager lines that you can place your stakes on. You can do that underneath the reels, as a part of the control panel of the slot. You will be able to place bets that vary between 0.20 and 100. The Reels take place in the fairy tale forest where the adventure is taking place, and this is why you will see that there is a magical tree on the right side. 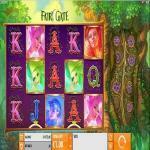 Fairy Gate is a slot machine by Quickspin, and this is why you can always expect to find plenty of winning chances and features. You will find 20 wager lines that can be quite rewarding, but in addition to these lines, you will find unique symbols and features that can result in significant rewards. 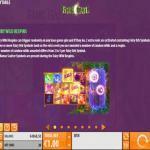 For example, the slot machine has a wild symbol, Fairy Wild Re-Spins, Fairy Wild Free Spins, Fairy Orb icon and more. Fairy Gate has a wild symbol, which comes in the shape of the Golden and Purple Wild. The wild icon will replace all other slot icons appearing on the reels of the game and its lines to create the biggest payout possible. The wild symbol will not replace the scatter or the bonus symbols of the slot machine. The Bonus Scatter golden locket is the icon that is responsible for activating the free spins round. You will need to get three of these icons anywhere on the reels to trigger the free spins round. These icons can only land on reels two, three and four during the base game. The Fairy Wild Re-Spins can become active at any time at random during the core gameplay. When that happens, you will activate two additional reels on the right side of the Reels. These two reels contain the magical blue orbs, if one of these magical fairy Orbs lands on these extra reels, you will claim some random wilds that will appear on the reels, as well as a re-spin on the slot. For each fairy orb, you will get from 2 to 5 wilds. During the Wild fairy re-spins no bonus scatter symbols can appear. Three bonus Scatter symbols would trigger the Fairy Wild Free Spins round. When that happens, you will get to earn ten free spins on the slot machine. 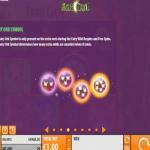 The extra reels will be active during the free spins, with fairy orbs landing on these reels during the bonus round.